1. Give the gift of opera! Our winter operas offer a great contrast in content and musical styles. Così fan tutte is a charming Mozart rom-com about young love and temptation, and A Masked Ball offers a Verdi tale about forbidden passion, unrequited love and political intrigue. But whatever your heart desires, you can purchase tickets online or let your loved one choose their own night with a gift certificate. 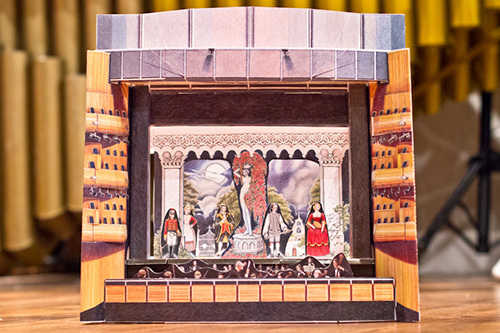 This spring at the Opera Shop at the Four Seasons Centre for the Performing Arts, we're very excited to have a special selection of toy theatres from Benjamin Pollock’s Toyshop in England: one being a presentation of Le nozze di Figaro, and the other being Cinderella. Internationally renowned for their whimsical toy theatres, Benjamin Pollock's Toyshop has been widening children's imaginations since the 1880s when the brand was founded by its namesake in London's Covent Garden. When you come to watch La clemenza di Tito and Tristan und Isolde this winter, be sure to visit the Opera Shop. 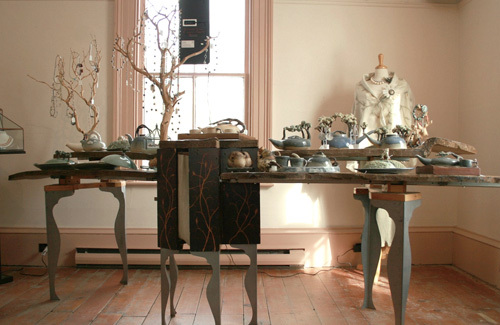 Every season we feature a different collection of jewellery designed by Canadian artisans. The perfect place to find that Valentine's Day gift, perhaps? To give you a preview on the pieces available this winter, Michelle Hwu, our retail co-ordinator, spoke with Jon Klar, Alice Chik, Diandra Guglielmello (of Liel and Lentz) and Ayana Fishman (of TwoA) about their designs.